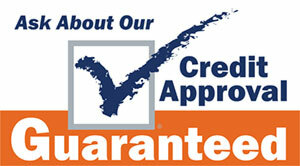 Let Honest Autos show you how easy it is to buy a quality used car. We believe that fair prices, superior service, top quality used cars and treating customers right leads to satisfied repeat buyers. As the oldest independent dealer in Lake County, we have been family owned and operated in Leesburg,FL since 1980. Our goal is to utilize our 40 years of industry experience to help you get a great car at an even better price. Don’t get taken advantage of by other dealers. We offer upfront salesman, transparent pricing, service records, and free Autocheck vehicle history reports on every vehicle we sell. We are a full spectrum lender, offering traditional financing as low as 2.8% for good credit customers AND Buy Here Pay Here financing for customers looking to establish or rebuild your credit. Don’t take “No” for an answer. We can be the bank. We are conveniently located on U.S.HWY 441, 50 minutes North of Orlando, 25 minutes South of Ocala, and 5 minutes South of The Villages. Come in and let us earn your business! Shop our virtual showroom of used cars, trucks and suvs online then stop by for a test drive. We service all of central Florida including but not limited to: Leesburg, Fruitland Park, Eustis, Tavares, The Villages, Wildwood, Mascotte, Ocala, Summerfield, Umatilla, Clermont, Orlando, Yalaha and Belleview.